Daily Dose gives us the diagram action, again, by delving into a NYC DOT study of 6 of New York's streets. The report focuses on how streets affect the character of urban areas (this is how far we've come since Jane Jacobs first put herself on the line: the DOT is sensitive to how streets affect cities). 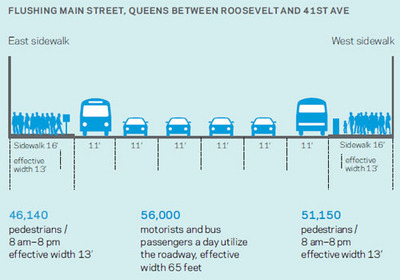 Daily Dose points out how Main Street in Flushing, Queens demonstrates the power of diagrams. In the above diagram the information is startling: for about 26 feet of sidewalk space, 100,000 people must pass from 8am-8pm. About 50,000 motorists pass in 6 lanes of one-way traffic in the same period. The Starn Brothers, every 1989 college student's favorite artists, are back! They are finishing up construction on a large installation in the South Ferry Station of the New York City Subway called See It Split, See It Change. Their focus on unnerving closeups of nature has not changed, nor has their geeky obsession with new materials. In this case a curved, fused glass printing technique that will last a century and took a year to develop. We're gonna be the first ones there. Speaking of documenting New York City, a new weblog called Scouting NY documents the travels of a film location scout. He is dedicated to the art of actually looking at New York City, while everyone else rushes on the sidewalk to get on with their business. His business is looking, and by what is on his site so far, he appears to have some great observations. 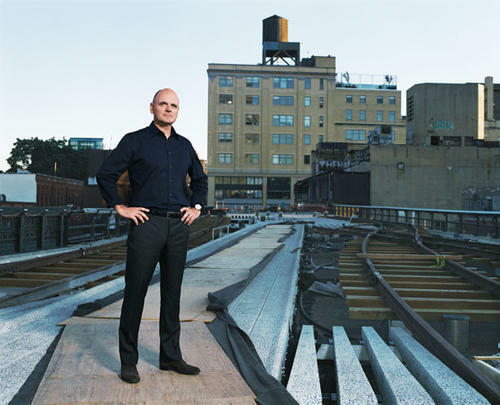 Between March and November 2006, Richard Howe photographed every street corner in Manhattan. Yes, he took pictures of all four corners too. The images are powerful because of the close cropping of the buildings on that corner: you get a generous panorama of the bank or deli on the corner (or, being 2006, construction scaffolding) and not much else. 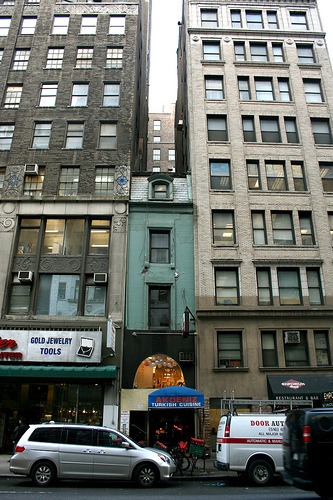 There are roughly 11,000 street corners in Manhattan. 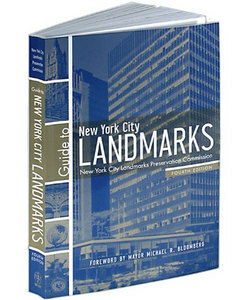 The New-Yorke Historical Society is going to include them in their collection. As Howe alludes to in the text on his page, it is interested to see what he defines as corners. Is a corner a street intersection? For instance, where Broadway collides with 5th Avenue, just above the Flatiron Building (and now a pop-up park), there appear to be multiple pictures of the same corner, due to how he is defining corners. Hopefully they will all appear in a room together with some sort of map to document the process. However they are displayed, they are a powerful record of our messy, disruptive city life, systematically organized. 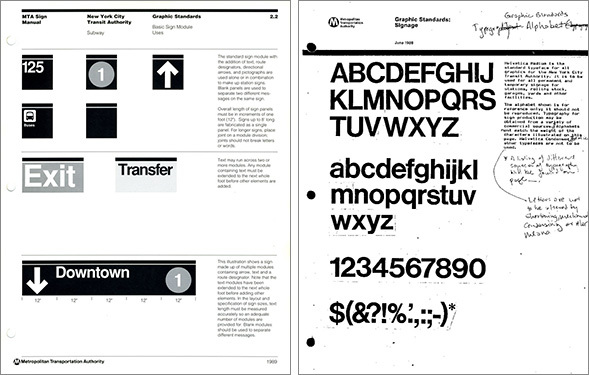 Even though we are architects, we have a special hobby called typefaces. We love them. We collect them. 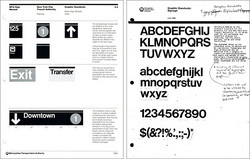 Our favorite are the sans-serif fonts developed in the middle of last century. We collect books that heavily feature them. And so this long, in-depth, and heavily illustrated article about the story of the typeface Helvetica (and Standard!) 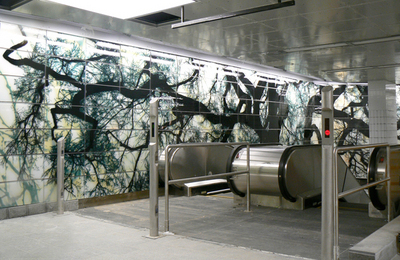 in the New York City subway is nothing short of rapture for us. And we're not the only ones. 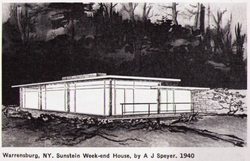 Continuing our meme of Miesian Delusions (see Tropolism Newsletter 1.4 yo) we point you to Greg Allen's archeology of house by A. James Speyer, who was Mies van der Rohe's first graduate student. The house is a full on Mies country house from that era, except for a few powerful exceptions: the posts are made with tree logs. So clearly the architect has just dove off the deep end. To be fair, I proposed something like this a couple of years ago when friends bought an A-frame house that badly needed a big window wall in its giant A side. Let's just use trees! 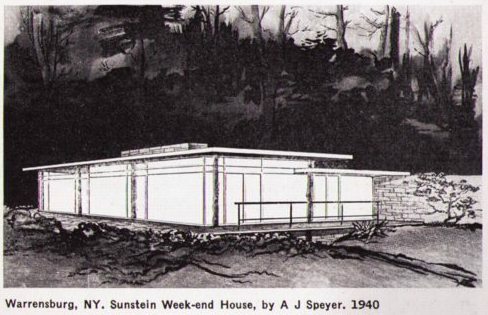 Greg also points out that the house, mentioned in a MoMA catalogue from 1940, seems to have disappeared everywhere. It's nowhere online (no surprise there, I have a wall of books filled with projects from the 1980s that are invisible here) but it also seems to be a bit hidden from Greg's initial exploring on the subject. The guidebook includes detailed directions for visiting, so perhaps someone up in Warrensburg can help us out? James Corner, he of Field Operations (warning: totally annoying website navigation ahead), gets a lot of attention over at Landscape+Architecture last week. First he got a perfectly good mash note on November 24th: "The savoir [sic]... of course is James Corner and his firm Field Operations." This was the extended illustrated commentary on an article in the New York Magazine about the Fresh Kills park. But then he shows up in Metropolis for the highline (with really awesome pictures), and gets what can only be described as a mash note that further illustrates why we should love him. Frankly, we think he deserves it. 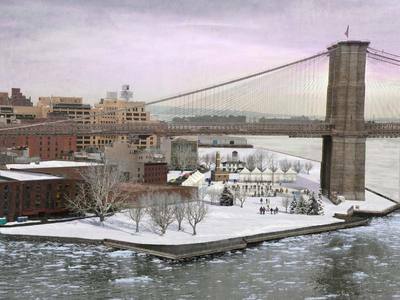 He is redefining the profession of landscape architecture: there is no hyperbole in that statement. Will his built work be a success? That remains to be seen. But his influence on my generation is unmistakable. His desire to make beautiful, workable, urban spaces keeps his solutions looking decidedly non-theoretical. Yet somehow they look new. James Corner has many imitators, but few peers, and the mark his ideas leave on New York will be unmistakable. 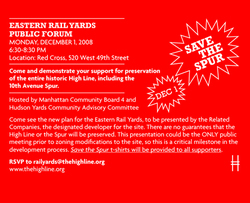 Anyone who's walked The High Line knows about The Spur. It's that totally awesome elevated rail thingy that is more like a rail pier than a piece of a rail line. Like an appendix to the main High Line it isn't continuous with the flow of the rails. 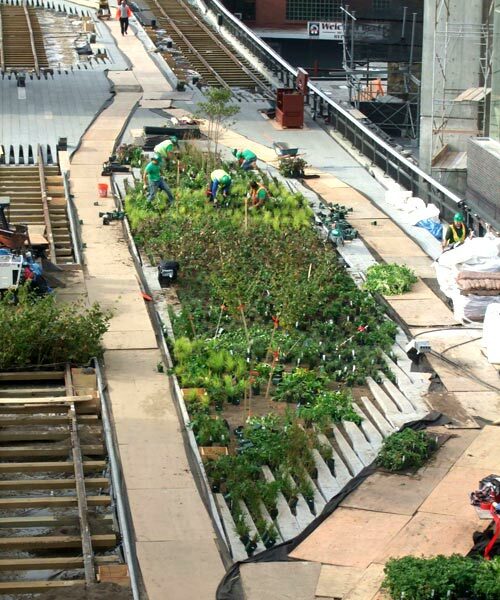 Yet it offers a really wonderful view from all directions, and it is the most visible architectural element of the High Line when approaching from the East (as in from where the rest of Manhattan is). 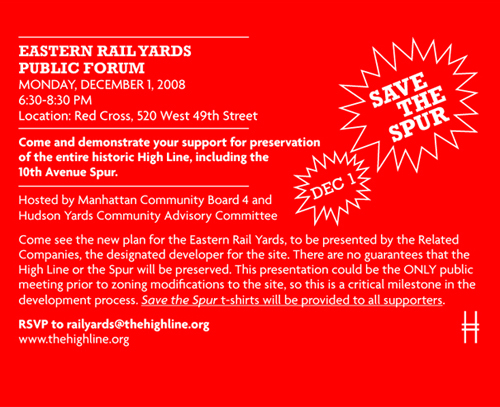 If you'd like to see it included as part of the High Line park as much as we do, please get over to the public forum on December 1. Details here. 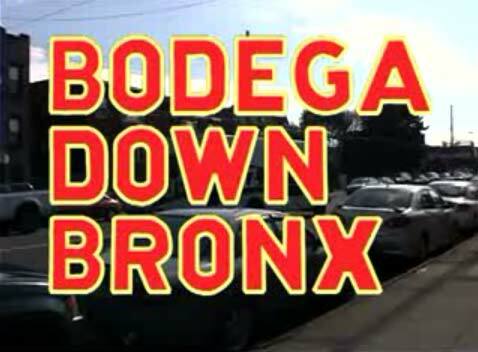 Today is a screening of the new film Bodega Down Bronx. 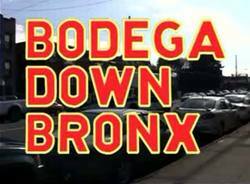 From the Center for Urban Pedagogy's announcement: "This past year, students from New Settlement's Bronx Helpers and CUP teaching artist Jonathan Bogarin investigated bodegas in the Bronx. The group interviewed bodegueros, visited their suppliers, and met with congressional representatives, health professionals, and alternative Bronx food establishments. They made a documentary to pass along what they learned." Watch the trailer here. The screening is at 5:30 at CUNY Law School Auditorium, 65-21 Main Street, Flushing, Queens, NY. The National Geographic Channel is featuring One Bryant Park on its Man Made series. The episode airs Thursday, November 6, at 9PM ET/PT. It's a great mini-documentary on the building, and gives some great insights into how large-scale sustainable building is happening these days. What's particularly great is how articulate and passionate Richard Cook is about this way of building. 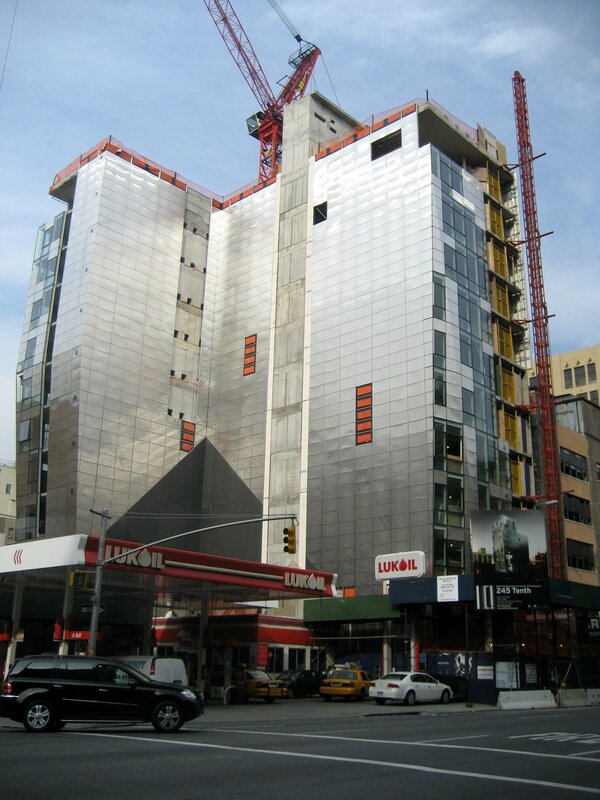 Shiny Metal Tower Joins Chelsea Wood Tower! 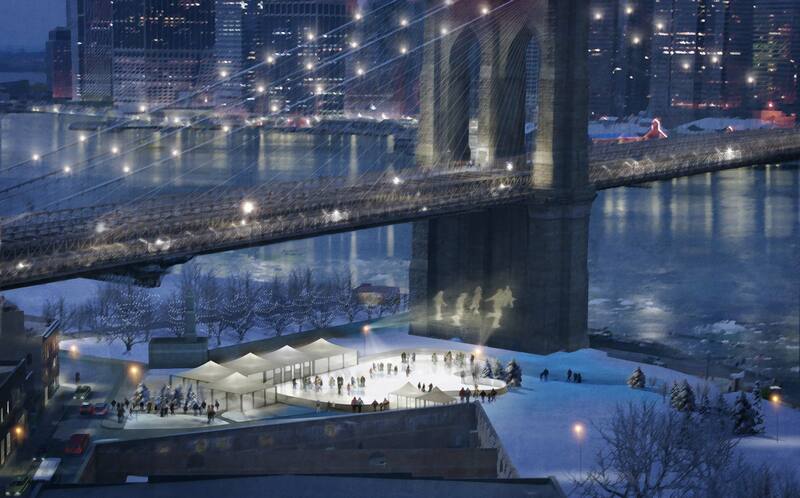 Our favorite wood building in New York City is about to get a neighbor! 245 Tenth Avenue is clad in (very) shiny, stamped metal panels. And surprise it's by friends from my alma mater, Della Valle Bernheimer. 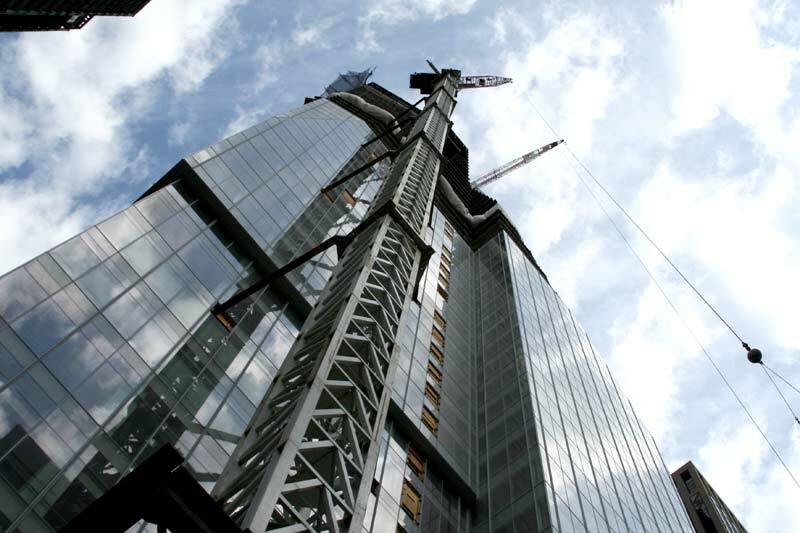 More pictures after the jump, including one with Chelsea Wood Tower. Ha ha, joke's on us. Here we thought MAS was just going to accept ideas for its Imagine Coney project through public forums and such. No, they were just hanging onto a wonderful website where you can click "Submit Idea" and it goes into their internetwork (text only, images need to be emailed in). Or, you can real-mail them something called a "CD". 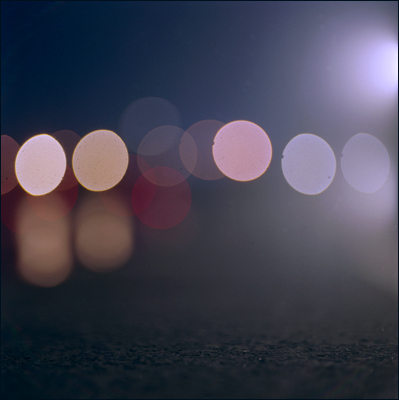 The website is really beautiful, too. Be sure to submit your stuff before November 12th. PS if you still want to go rogue and send us your stuff too, we'll still publish the best ideas we receive. Reminder: send us your ideas for Coney Island! Tropolism means good ideas win. We are asking all our readers to send us your ideas (especially visual illustrations) for Coney Island. Anything we get we will forward to the Municipal Art Society; the best ideas we will post on Tropolism. This is open to everyone and anyone. 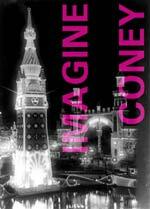 Whether you're an architect or an admirer, t's time to fantasize again. Send whatever you can to [email protected]; the deadline is November 12.